The maps shown on this page were used in tourism advertisements, brochures and driving tour guides. 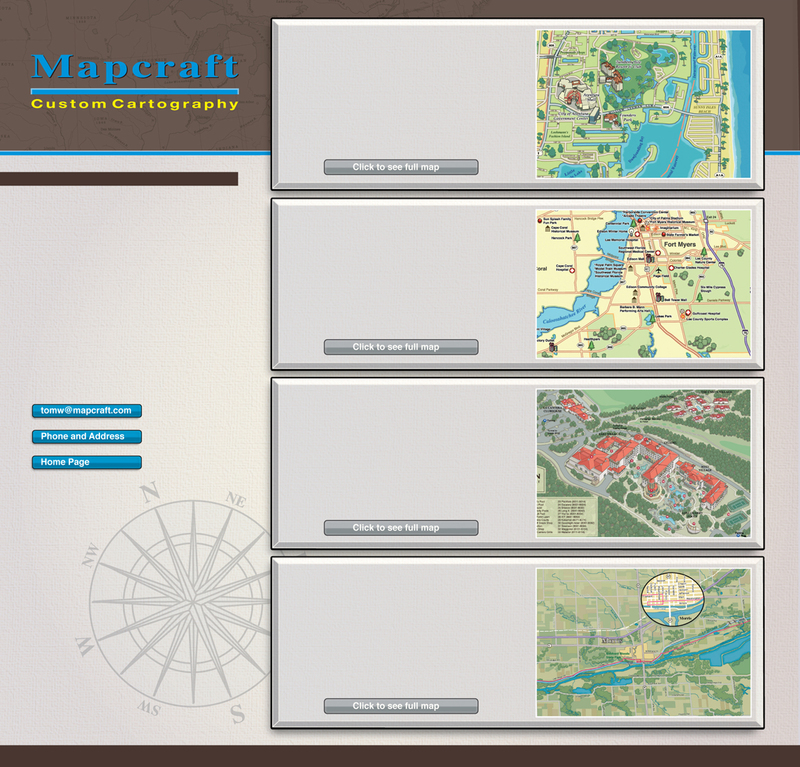 Each serves a double purpose, both as an eye catching graphic and as a functional road map to find highlighted sites. Buildings shown on the regional maps are not drawn to scale, but serve as landmarks for the different locations and as decorations for the maps. This map was prepared for Miami Metro Magazine. The colors used evoke the tropical setting of South Florida and the rendered buildings highlight sponsors of the magazine. This map shows the location of a real estate development near Fort Myers. In addition to serving as a location map for the development, the view also highlights surrounding amenities and attractions. The view was made as a guide and a showcase of the Westin La Cantera for their guests. It also serves as a dramatic advertisement for the resort. Pools, golf courses, villas and other amenities are all highlighted in rich detail. This large perspective map highlights a popular driving tour along the I&M Canal. It shows the 100 mile route from Chicago to LaSalle and includes detail maps of each town along the way. Such maps serve as economic tools to attract visitors to forgotten areas and are often funded with grants or private sponsorship.